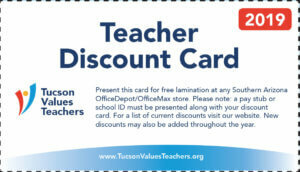 Tucson Values Teachers and OfficeMax/Office Depot presented the March Teacher Excellence Award on Tuesday, March 26 to Sharon Yurtinus, a second-grade teacher at La Paloma Academy Lakeside. Yurtinus was surprised during a school honors assembly. She is in her third year of teaching at La Paloma Academy, previously teaching in Gardnerville, Nevada for 10 years. 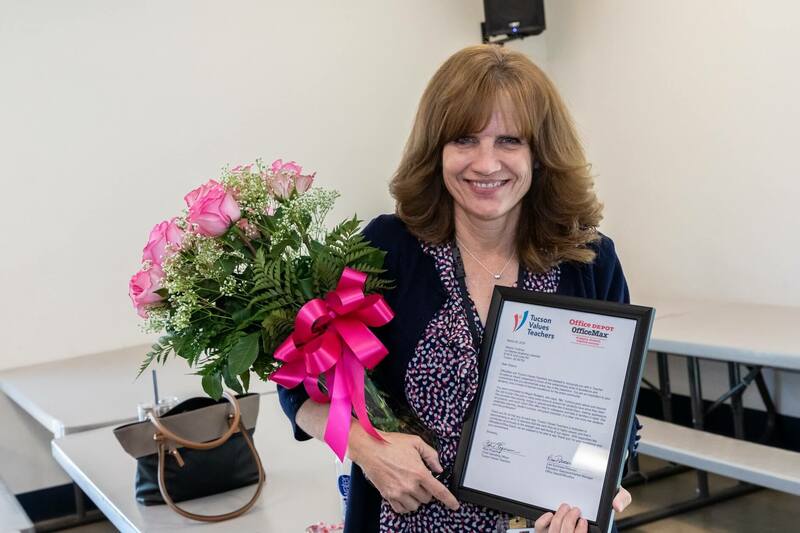 Yurtinus was nominated for the award by her colleague, Megan Rodgers, Vice Principal at La Paloma Academy Lakeside. “Ms. Yurtinus goes above and beyond the call of duty,” said Rodgeers. “She puts in many extra hours to ensure her students have what they need. She provides free tutoring, brings in special activities like Colonial Days, makes applesauce, creates art projects, and much more!